7 years experience in manufacturing hydraulic and pneumatic quick coupling. Experienced technical team and skilled workers. 25 days delivery. Jiangxi Aike Industrial Co., Ltd. established in 2011, is a leading manufacturer specializing in hydraulic quick couplings, pneumatic quick couplings and hydraulic fittings in China. 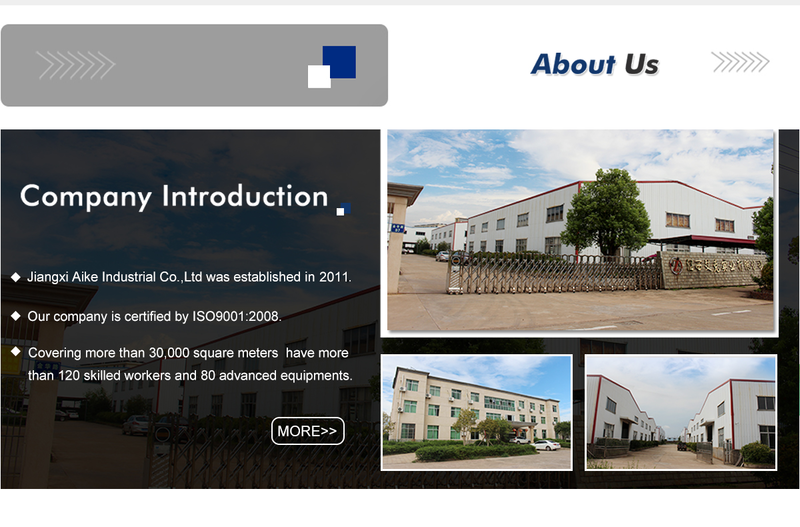 We are located in the technology development zone of Dongxiang, Jiangxi Province. covers an area of 30,000 square meters, has 80 sets of advanced production machines and testing machines, all of the products comply with international quality standards and are greatly appreciated in a variety of different markets throughout the world. Dedicated to strict quality control and thoughtful customer service, our experience staff are always capable to discuss your requirements and ensure every customer satisfaction. Our products have passed the third party certificates. For many years, our company has provided accurate, environmentally sound and reliable fluid fast connection solutions for oil, metallurgy, vehicles, medical, engineering machinery, agricultural machinery, chemical industrial automation and other fields. We have established a cooperative partnership with the United Stated, France, Poland, South Korea, Russia, Australia and other 20 countries and regions of customers. Welcome to OEM and ODM orders, whether selecting a standard product from our catalog or seeking engineer assistance to make your idea come true, you are warmly welcomed to talk to our customer service. We will always supply qualified products with competitive price to you to help you decrease the purchase prices as well as increase the competitiveness in your local area. We are looking forward to establishing business relationships with customers all around the world.